She believed it with her whole heart. At Kids Five and Over, we believe it too. Imagine this: A 10-year-old girl dreams of being a gymnast. She uses the small space in front of her bedroom mirror to practice handstands and backbends, and she choreographs short routines for the make-believe audience that surrounds her. She throws her hands proudly in the air when her routine ends and acknowledges the judges who critique her every move. She steps off the imaginary mat and waits nervously for her score. And then it happens...10! A perfect score! 10! The crowd roars! 10! She wins GOLD! Imagine this: A 10-year-old girl dreams of being a gymnast. There's barely enough money in the house for food, never mind gymnastic lessons. The clothing allowance needs to be spent on shoes, not leotards. Gymnastic lessons are out of the question. She never even asks. Dream crushed. Same story. Same girl. One is dreaming in the way all 10-year-olds should dream. The other is struck with the heavy reality of life. We met that girl this week - the girl who dreams and the girl whose dreams were crushed. We met her at a gymnastic studio. She was nominated for support from Kids Five and Over and because we have Board members living near the Studio, we were able to see firsthand what it looks like when a little girl wears her first leotard and step onto the mat for a lesson. What a thrill to witness what Kids Five and Over is doing for children like the one mentioned above. For less than $175, we were able to give her gymnastic lessons all summer long - every day if she wants - and three sparkly leotards of her very own. And then came the chain reaction - From there we saw a kind-hearted Mom step in to make sure that little girl had a pretty bag for her clothes and a handful of hair ties for her hair. Watching the kindness continue beyond the support of Kids Five and Over was rewarding on a whole different level. Our 10-year-old felt like Cinderella that day. Her tired gym shorts turned into a red leotard with sequin hearts and peace signs. The plastic grocery bag that carried her clothes turned into a pink and white striped gym bag. The rubber band that held her ponytail turned into fancy black hair tie. And at midnight, it all still belonged to her. Our mission is so important. We can't stress that enough. There are children who need opportunities to explore the wonderful possibilities that life has to offer; Children who deserve to dream big and have their dreams come true. It's not about hair ties and leotards, it's about having a dream and knowing deep in your heart that someone, somehow will help you reach it. 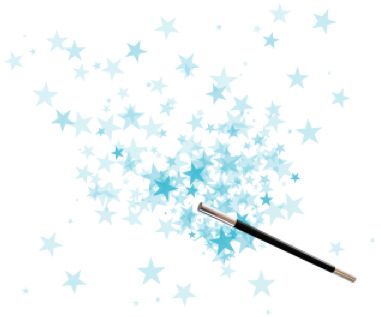 Write to us at KidsFiveAndOver@gmail.com if you know a child with a dream, and let us know how we can help. Visit our website at KidsFiveAndOver.org if you want to help sponsor a child. Happily ever after doesn't always have to start with Once upon a time. Happily ever after starts with all of us. Kids Five and Over is the recipient of a $1,000 seed grant from the Pollination Project. Did you notice the zeros? That's one THOUSAND dollars! We are beyond thrilled! This is an incredible honor for so many reasons. First, the Pollination Project is an organization that epitomizes the phrase "people helping people." It is volunteerism and philanthropy at its finest. The Pollination Project is the brain-child of Dallas-based entrepreneur Ari Nessel. 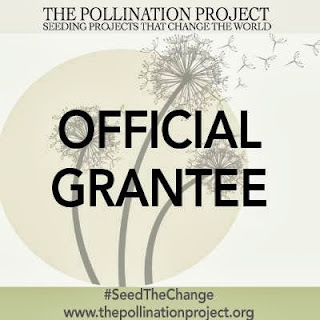 Every day of the year, the Pollination Project plans to donate $1,000 to "ordinary people doing extraordinary things." They are looking for change-makers who are working to make the world a better place. Ordinary people... Yep, that's us. Extraordinary things... Oh, we really, really hope so! To make the change, we must first be the change. The answer is in us. The world changes when we do. So, how will we spend our $1,000 in seed money? The news only gets better. Our dream of building a nonprofit to help children explore their natural gifts is taking shape and we have been encouraged and energized by the response and support of kindhearted people everywhere. When we began this journey, we made a promise to never, ever, ever (ever!) make a personal profit on monies raised and we will always stay true that promise. We also made a promise to keep our expenses low, but starting a nonprofit and deciding to apply for 501(c)3 status gets a little expensive - Ok, very expensive. The 501(c)3 application required a big check. Too big for our little nonprofit. Getting our website up and running meant another check. A few months ago, those little start-up checks began adding up and we started to feel a little deflated. Thanks to the Pollination project, our start-up costs are covered and now, 100% of all donations go directly to children. The announcement of our grant came today. You will find it here http://thepollinationproject.org/2013/06/04/linda-beal-kids-five-and-over/ You will also see the smiling faces of our Kids Five and Over Board and our Junior Board members who are learning the importance of paying it forward. Thank you Pollination Project! Thank you oh, so much! Congratulations to Scott McKee, Board member for Kids Five and Over, for winning the Taste of the Nation Leadership Award for his volunteer work with Share Our Strength Seacoast, an organization dedicated to ending childhood hunger in America. If you need further inspiration, read this great article about Scott in this week's local newspaper: http://www.seacoastonline.com/articles/20130605-NEWS-306050369.